Mirror less or medium format or both??? See the vid. They're announcing a new Star Wars flick? On the serious side, may the Good Lord help them if their "product" doesn't live up to the pre-announcement hype. 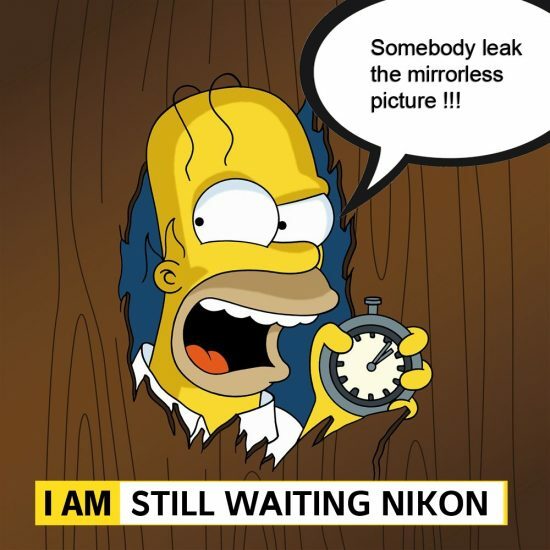 Thom Hogan has an interesting take on what Nikon is up to. The marketing department is working overtime! Thats my birthday. I wonder if there a message in that? I am sure this will be a killer product! They have definitely started a "buzz". How many more sleeps until Aug 23rd? The announcement said that there would be an adaptor. Details and cost to follow.